Whether you're looking for the classic elegance of couture wedding gowns from Justin Alexander or the snowy texture of Allure Couture, Dimitra Designs is ready to deliver. As you explore bridal shops in South Carolina, you will want to explore the many beautiful designer bridal gowns available at Dimitra Designs. We carry beautiful gowns form a variety of designers, and you’ll find our prices to be exceptional. 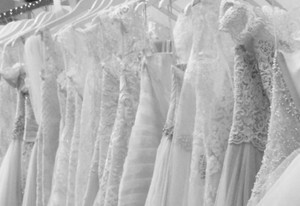 We have one of the most unique and diverse selections of the Upstate SC bridal stores and we provide exceptional one-on-one assistance. Are you seeking the look of a romantic ball gown from Maggie Sotterro or the suggestive flair and fit of a selection from Essense of Australia? You'll find our wedding gowns the right amount of traditional elements with contemporary designs. Hand-woven lace patterns, duchess satins and silks, Swarovski crystals and tulle ruffles are the stuff dreams are made of! 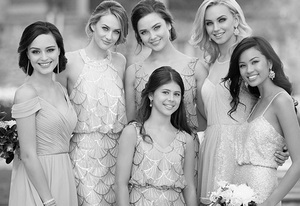 Any bride can make a dress look wonderful, but women know the difference between standard wedding dresses and these exquisitely tailored wedding dresses South Carolina. 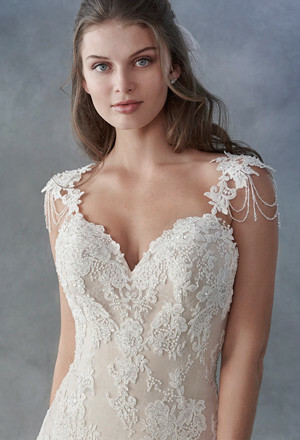 Stop in our bridal shop in Greenville SC, for a visit and to see these elegant wedding dresses. Enjoy the highest fashions absent the expense of New York boutiques with beautiful couture dresses from DimitraDesigns.com!.